We don't try to hide the fact that we're a local, family run business. Some companies may try to mask this fact to make themselves appear bigger than they really are, but this really isn't our style. We are what we are and it isn't something we're ashamed of, in fact we're actually pretty darn proud of it! We believe it's what actually sets us apart for "the rest". We're big enough to cope, but small enough to care about each and every party. We have a close network of family running our business. Helen mainly answers the phones and emails and talks with customers, does run-sheets and organises things - and man can she organise! Steve normally does the actual deliveries - loading, unloading and setting up. We often take our children (Alex and Matty) on local deliveries as quite frankly they are really quite helpful! When you use us, you're dealing with a family with young children. The "driver" is a husband and father, and the "woman on the phone" is a mother and wife. Twice a year, we do exactly what you're doing right now..... wonder how the heck we're gonna pull off a party for the kids this year! That's why we genuinely care about your party. It's not just a "drop off at midday @ Bourne Abbey", it's "Mia's 5th birthday party" and we really know just how much she's looking forward to her Unicorn party! We honestly do care about each job. We get excited when we get a booking and it's a huge deal when we purchase new equipment. The kids get to go on it first and first inflation is always done together. This shouldn't put you off using us, but provide you reassurance that we care and won't let you down! Steve - General Dogsbody - Driver And Party Deliverer. I'm the one who will most likely be delivering your party. I know most venues locally and the best way to set up to maximise your available space. My favourite item is our new disco bounce and slide bouncy castle. We have only just taken delivery of this and as it is a "velcro castle" we can apply various themes to your bouncy castle including Pups and Peter Rabbit with lots more in the pipeline. It has a real "wow factor" when it's inflated and you get a first glimpse of the disco light and sound system featured in this castle. Helen - Head Honcho - Bookings, Organiser and Party Deliverer. My favourite item is actually any of our fabulous party packages. From a mums perspective, it doesn't matter how large a bouncy castle you order for your kids party, you can't safely have 30+ kids on bouncy castle at once. 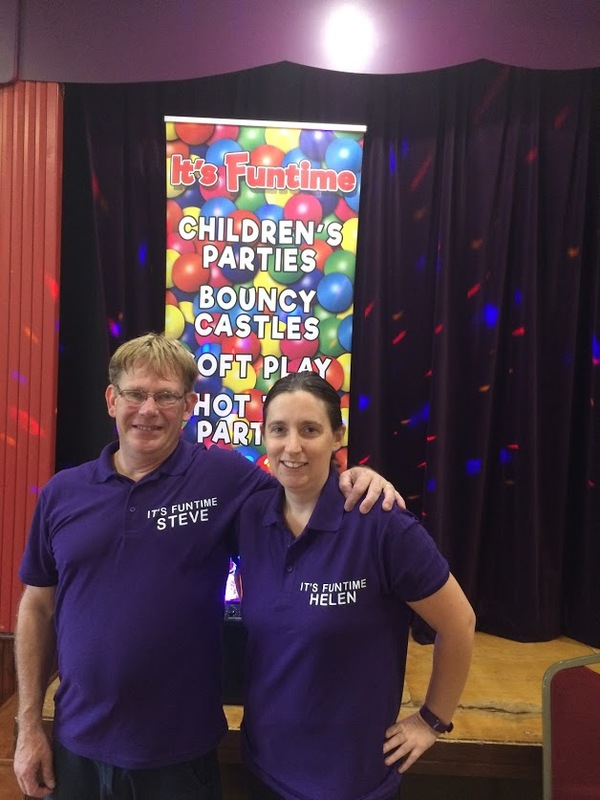 The party packages make childrens' parties so much safer, less stressful and more fun by spreading the load. If pushed, I'd probably go for the platinum soft play party as I really love the magic ball pool and the kiddie roller coaster and in case you're wondering, yes the kiddie coaster can in fact accommodate the larger bottom too (mine certainly fits.... just)! Alex - Age 10 - Also know as "The Sloth"! Alex loves helping to deliver parties. He is fantastic with babies and toddlers and will gladly entertain your little ones for a few minutes! Unfortunately he can be rather slow and is often reluctant to be parted from his beloved iPad - maybe you can relate?! If only we could put a rocket behind him, he'd be perfect! Alex's favourite product is our soft play party. He loves to make it all look pretty and perfect and can actually set up a full soft play party on his own! If only we could get him a driving license he'd make a great member of staff! Matty - Age 9 - The Pocket Rocket! Well Matty, once you've met him you'll never forget him! Matty is incredibly helpful and is a real pocket rocket. He is a very keen gymnast (hence why we have to keep working... he costs us a fortune) and seems to spend more time on his hands than his feet! Even though Matty is a real light weight at only 3 stone, he is as strong as the proverbial ox and can comfortably roll a bouncy castle on his own! 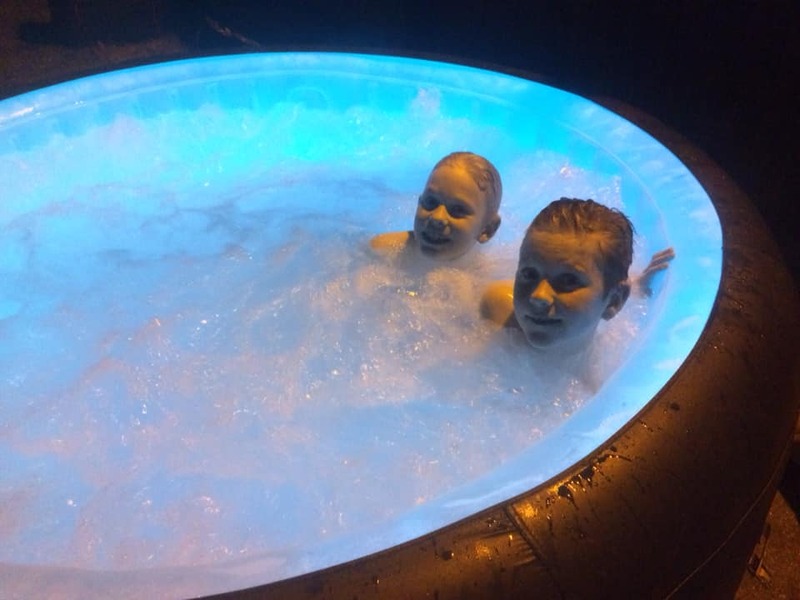 Matty's favourite product is without doubt, our fabulous hot tubs! Whenever we have a spare hot tub he asks for it to be set up in the garden, in fact it's one of the few times he actually slows down and relaxes. In fact Matty's last birthday was our twin hot tub package with his friends in the garden. Well that's us! All that's left is for me to thank you for choosing us, we are looking forward to making your party one to remember!